This season, home cooks can impress hungry family and friends by pairing unexpected flavors with traditional holiday fare. All it takes is one or two surprising ingredients to add a whole new dimension to your usual holiday cooking. Ready to add some “wow” to your seasonal menus? Five of New England’s most innovative chefs show you how. And for more fun flavor pairings, take our quiz to find the holiday cocktail that’s your perfect match. When it comes to starters, Jason Santos, chef and owner of three Boston restaurants— Buttermilk & Bourbon and Citrus & Salt, in Back Bay, and Abby Lane, in the theater district—is a fan of using seasonal ingredients in surprising ways. 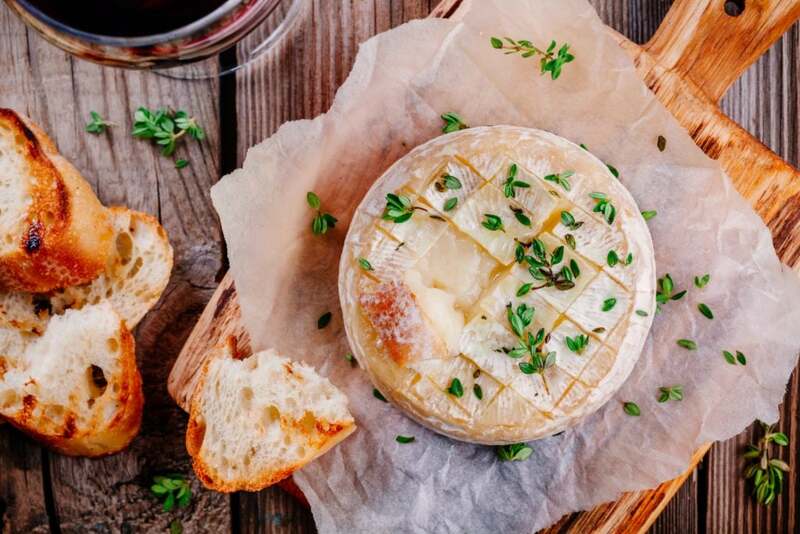 For example, his Baked Brie with Cane Syrup or Molasses delights eyes as well as the palate by topping earthy, creamy brie with the complex sweetness of cane syrup or molasses and the brightness of gooseberries. 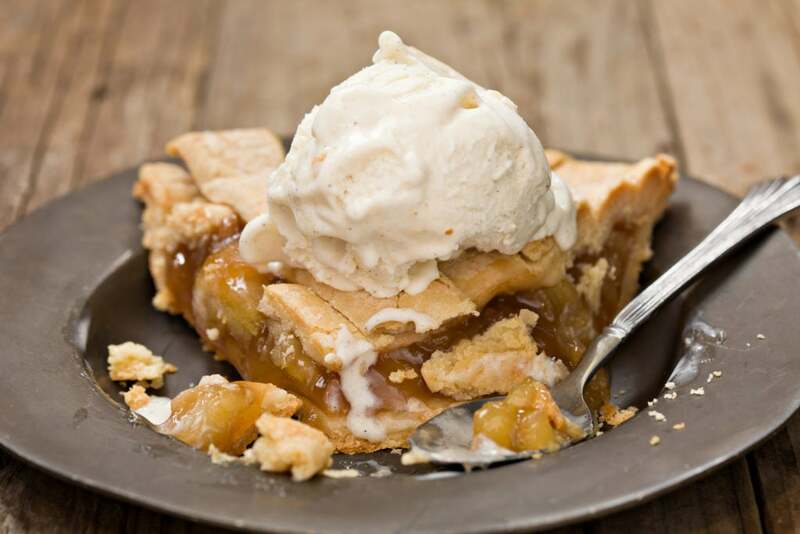 “Since we don’t cook the gooseberries, they stay kind of sweet and sour and almost caramel-like in flavor, so they pair well with the cane syrup,” Santos says. And their bright-orange color is a visual pop that enhances the dish’s presentation. Seven-time James Beard Award nominee Jeanie Roland likes to keep appetizers simple but interesting while honoring tradition. Roland, head chef and owner of Ella’s Food & Drink in Westerly, Rhode Island, and a “Beat Bobby Flay” winner, pays tribute to her family’s roots by assembling a Lithuanian-inspired charcuterie plate. She stocks it with smoked sausage, herring, spicy horseradish, roasted beets, sour cream, and mustard. Who can imagine turkey without a dollop of cranberry sauce? When it comes to the traditional holiday meal, homemade cranberry sauce is one of the easiest dishes to make, and the most colorful. But too often, it tastes lackluster. With a few innovations, Ella’s Food & Drink chef Roland has found a way to deliver a deeper, more interesting flavor. Roland replaces water with port or red wine. 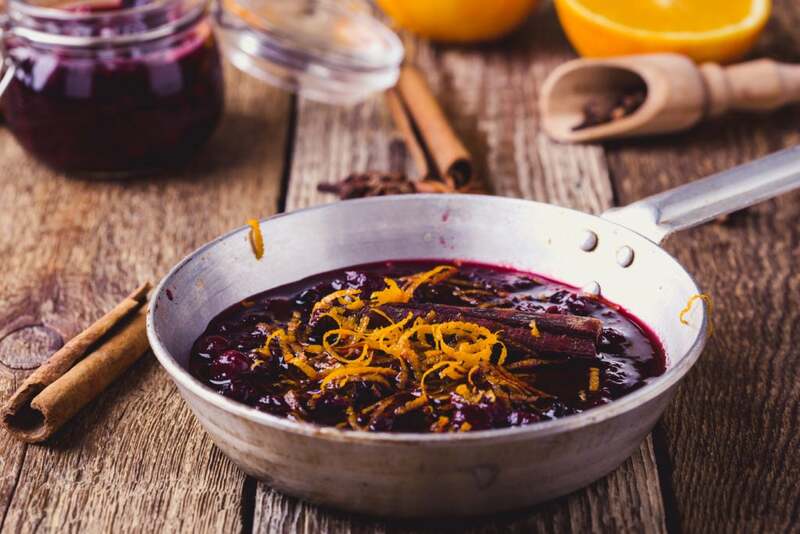 And she infuses her cranberry sauce with spice by placing a sachet containing whole spices (cloves, cinnamon, and allspice) into the sauce during cooking, and removing it when done. Off the heat, she stirs in fresh lemon juice, fresh grated orange rind, fresh grated ginger, and a squeeze of orange juice, if needed for taste and consistency. “The fresh ginger gives a nuance of flavor and freshness. And I love the way the citrus zest brightens it up,” Roland says. Squash is so versatile that Christopher Gould, chef and proprietor of Central Provisions and Tipo in Portland, Maine, gives it a starring role in holiday dinners. He likes to pair three kinds—butternut, acorn, and red kuri squash—with two unexpected flavors: brown butter and miso. Gould cooks the squashes with onion, garlic, butter, wine, stock, fresh herbs, nutmeg, and star anise. After pureeing the soup, he blends in brown butter and miso. 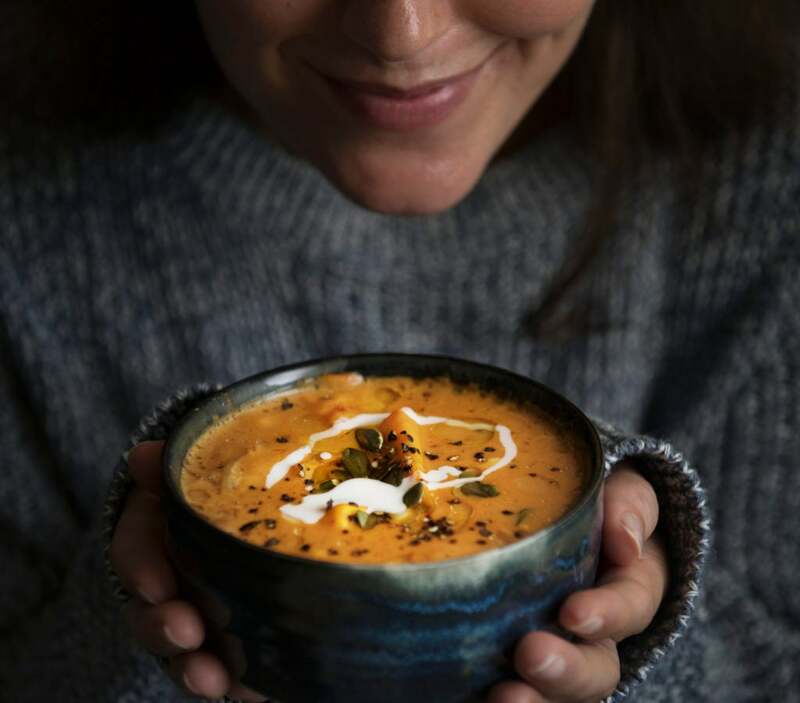 “The brown butter adds a great richness,” says Gould, whose Central Provisions in the heart of downtown Portland was named a finalist for the James Beard Award in the Best New Restaurant category in 2016. For chef Michael Schlow, creating exciting vegetable side dishes isn’t just a culinary challenge: It’s a way to get his kids to eat their veggies. Schlow, named the Best Chef in the Northeast by the James Beard Foundation, owns Alta Strada at Foxwoods Casino in Connecticut, Alta Strada in Wellesley, and a number of other restaurants around the country. 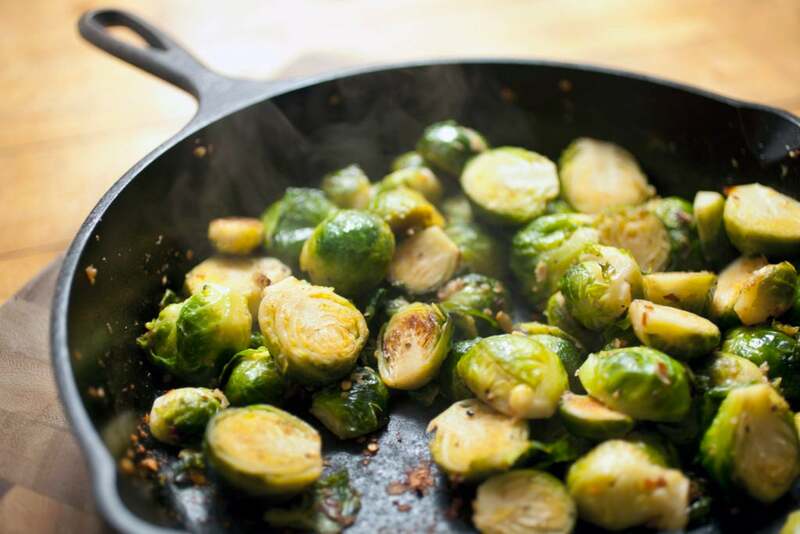 One of the family favorites at Schlow’s house is caramelized sautéed Brussels sprouts. He sautés halved Brussels sprouts in olive oil until they’re golden brown, de-glazes the pan with sherry vinegar, and then tosses them with crisp bacon, rosemary, and chopped walnuts. Schlow’s family also loves roasted cauliflower florets tossed with butter, crispy breadcrumbs, parmesan cheese, and fresh herbs such as parsley, sage, thyme, and rosemary. “Both of these are plays on the original, but they’re different. And they’re also super-easy to make,” Schlow says, although he also admits that the roasted cauliflower is really just a delivery vehicle for the butter, parmesan, and bread crumbs. Nostalgia plays a strong part in holiday meals for Valerie Nin, pastry chef at Grill 23 & Bar in Boston’s Back Bay. Here’s another way Nin changes things up: To satisfy her mother, who can’t live without chess pie, while pleasing guests who love pumpkin pie, Nin pairs the two by whipping up a two-layer pumpkin-chess pie. “Adding a little something unusual to a holiday favorite is a way to keep with tradition while also keeping things interesting,” Nin says.